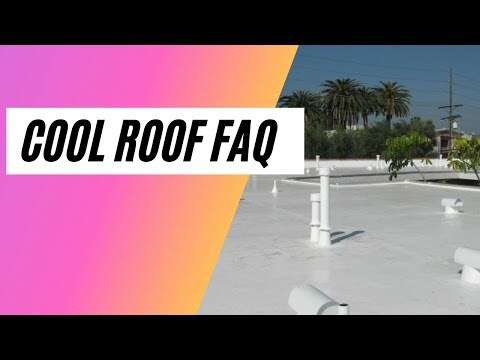 Los Angeles, CA : Commercial roof restoration (aka roof renovation) in the Greater Los Angeles Area can be a smart alternative to a tear-off provided the flat or low-slope roof is a good candidate. A pitched composition or asphalt shingle roof may also qualify for a recover. During the complimentary estimate, Central Roofing Company qualified estimators can determine if your existing roof is a good candidate for a roof restoration service. Part of our due diligence is to confirm with the city (where the building is located in) how many layers of roofing are allowed on your building. This would also apply to recovering a flat roof with a torch modified system. Below are the types of roof systems we are currently certified and licensed to install for a commercial roof restoration, renovation or recover in Los Angeles and surrounding areas. All of these roof systems can meet Title-24 compliance. Mattel contracted with us for an industrial roof project in October 2005. This 172,800 square foot roof restoration was completed in 31 crew days. Not to be overlooked, roof preparation is the correction of roof issues prior to installation of the new coating system (before applying asphalt emulsion, polyester reinforcement and the white elastomeric finish coat.) This is a critical step to insure a quality installation that will maximize the useful life of the new roof. Inspect, clean and remove all loose roof deck debris. Reinforce roof waterways with Modified Bitumen. Reinforce roof ponding areas with Modified Bitumen. Cutout and dry all blisters and then nail to the roof deck. Install Modified Bitumen to correct fractures and delaminated seams. Cutout & rebuild drain areas with Modified Bitumen. Modified Bitumen is a blend of atactic polypylene polymers mixed with high grade asphalt, reinforced with a non-woven polyester mat. The expected useful life of this material is 20 years. Modified Bitumen is the replacement technology for the old Mineral Capsheet (Hot Mop) technology. The combination of applying layers of asphalt emulsion and polyester reinforcement forms a new, seamless, water-proof membrane over the existing roof and areas reinforced by Modified Bitumen. Apply 2 emulsion layers and 2 polyester layers (white rolls). Cover skylights before applying emulsion layers on roof area. Let polyester layers cure 1-2 days then prep for top coat. After 1 or 2 days of curing, the roof is ready for the white elastomeric top coat to be spray applied directly to the polyester reinforcement. 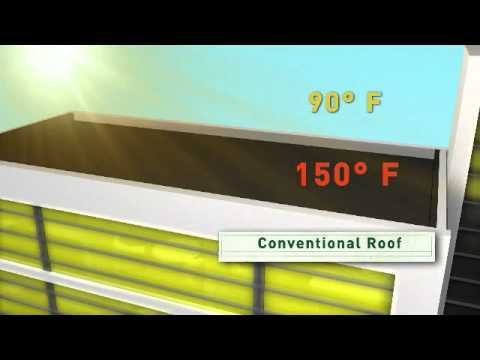 After curing, you have an Energy-Star rated, Title-24 compliant Cool Roof that can dramatically reduce surface temperature and help reduce cooling costs. Apply an even primer top coat first. Apply an even final top coat. Applying a white elastomeric top coat (aka Cool Roof) to your roof building has numerous advantages over a conventional roof. Roof restoration coating systems comprise approximately 65% of today’s commercial roofing needs. They are more cost effective than traditional means of re-roofing. 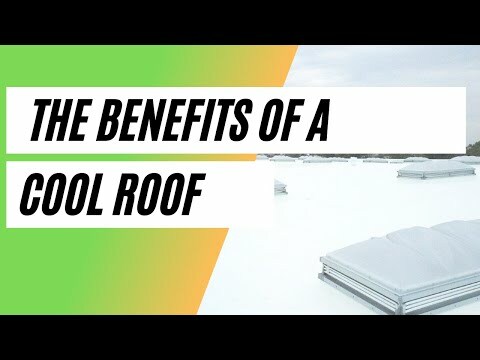 Here are 13 reasons why getting a cool roof makes sense beyond the obvious energy and cost savings. 1.Minimal inconvenience as there is no need to tear-off existing roofing membrane. 2.Eliminates need to replace insulation which would be costly. 3.Lightweight. Additional layers may be added at a future date which can extend the useful life. 5.Seamless, encapsulating the existing roofing membrane. 7.Extremely flexible with strong elongation properties. 8.Polyester mat(s) provides superior tensile strength. 9.Maintains your current fire rating. 10.Emulsified asphalt deteriorates at a slower rate than hot asphalt-based roof systems. 11.Materials are environmentally friendly with very low VOCs. 12.Energy Efficient and Title-24 Compliant. Research has shown a substantial savings. Central Roofing Company is proudly affiliated with these manufacturers of commercial roof products designed to surpass industry standards. We determine what product to use based on your particular needs. Each product comes with a manufacturer warranty. Creating a safe work environment is a top priority at Central Roofing Company. Our skilled technicians attend monthly safety meetings conducted by Safety Compliance Professionals to insure that they are complying with CAL-OSHA standards. 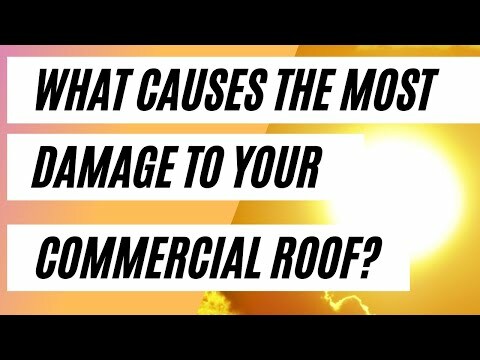 Not sure if your commercial roof qualifies for a roof restoration? Are you in the process of getting different roof estimates and need one more? One of our roofing estimators will gladly meet you to discuss your options and follow up with a free, no-obligation, written estimate.